Aluminium Duct Tape (50mm x 45m) - Individually Wrapped is ideal for use with ventilation appliances..
Cloth Duct Tape (50mm x 50m) - Individually Wrapped is ideal for use with ventilation appliances suc.. The Ducting Pressed Bend 90 Degrees offers more options for ventilation systems to help divert airfl.. 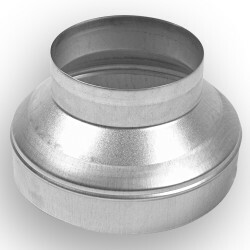 The Ducting Tee Connector offers more options for ventilation systems to help divert airflow and dea.. The Ducting Y Connector offers more options for ventilation systems to help divert airflow and deal ..